Do You Believe In Ghost Dogs? Mysterious creaks on the staircase? Warm spots on your bed? Dog tags jangling when you’re all alone? Sensations of a phantom paw on your shoulder? Could it be a ghost dog? Maybe your beloved pet has passed away, or you’re standing upon an ancient dog run/burial ground. Maybe unbeknownst to you, your house was built on an old abandoned pet cemetery, or you’re spending the night in an ancient castle turned bed and breakfast. 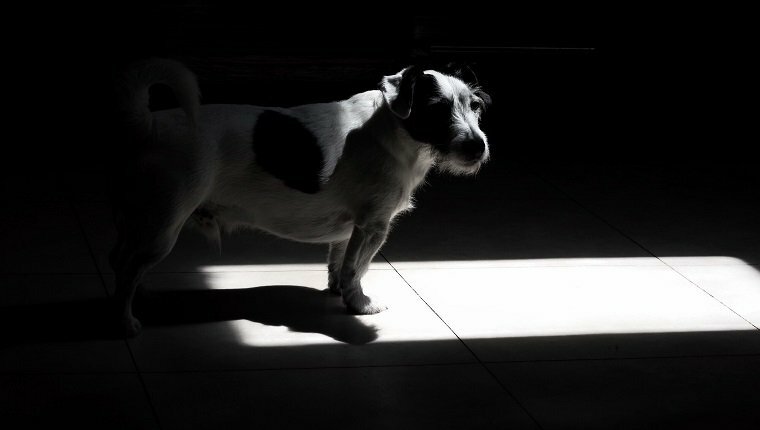 Whatever the case may be, you’re experiencing paranormal pooch activity, and–no surprise–these phantom pup sightings have been reported around the world. People have witnessed ghost dogs going on ghost walks, felt the spirits of dogs long passed looking for scraps under the table, and seen paranormal pup energies resting peacefully in their old favorite spots by the fire. Even Christopher Knight, who played Peter on the original Brady Bunch, saw ghost dogs! So if you think you’ve seen the ghost or spirit of a dog, you’re not alone! Some say your pet dogs come back to visit you from beyond to make sure you’re okay and to let you know they’re still watching over you. This can be a great comfort, especially if your pet has been taken from you suddenly and you’re still grieving. Then, usually after your ghost pet visits you, they move on to their next life, and they’re not seen again. Don’t Pet Ghost Dogs You Don’t Know! 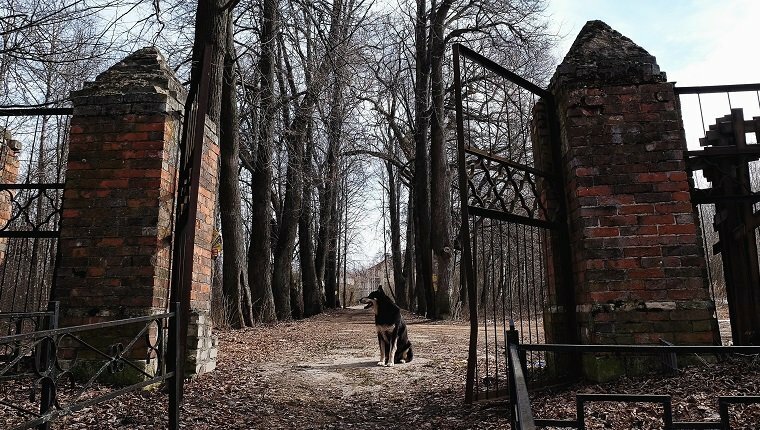 Now, other ghost dogs–who might more accurately be called apparitions–show up at certain landmarks frequently throughout time, to familiars and strangers alike. It’s like they’ve become part of the landscape. That, or they can’t give up their favorite chair. At the Holly Hotel, in Holly Michigan, an apparition of Leona the rat terrier runs up and down the halls and barks. Oh, those terriers! Even in the afterlife! But be careful. Not all ghost dogs are man’s deceased best friend. Like, in Valle Crucis, North Carolina, there’s a demon ghost dog who springs out of the cemetery, chases you down, and comes right after your car! 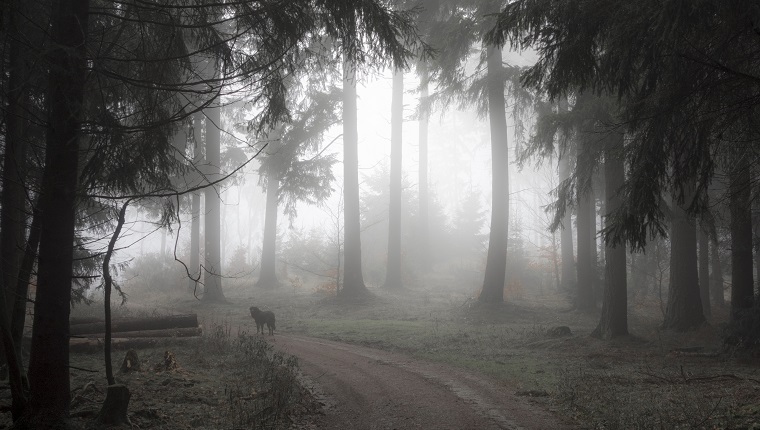 And if you visit Hanging Hills, Connecticut, you only want to meet their legendary ghost, the Black Dog, once. Then, get out of there! Because if you keep running into him, it’s a total death omen–ahh! I think the lesson is: Don’t approach the ghosts of dogs you don’t know–or at least ask their ghost owners for permission first.